STAR TRACE High Intensity High Gradient Magnetic Roller Separator is a roll type dry magnetic separator with fixed magnet having high field intensity and gradient. The magnets used in the Roller Magnetic Separators and made of alloys of rare earth elements are more powerful as compared to other magnets. They generate high attraction forces on the magnetic roller due to their properties and special magnetic series. The obtained high magnetic attraction forces have low magnetic sensitivity and therefore they make it possible to separate very fine low magnetic minerals with a high recovery. The most distinguishing property of High Intensity High Gradient Magnetic Roller Separator is the used magnets that are an alloy of rare earth elements produced domestically and more powerful. 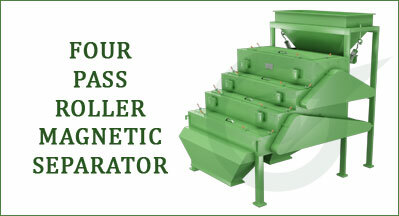 Magnetic Systems has a number of standard sizes in which the high gradient separator is produced, and all of these sizes only require a low installation height. 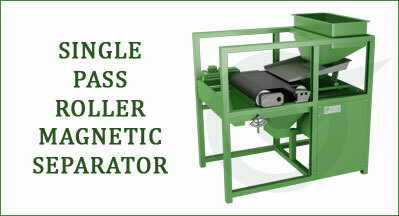 It is also possible to make a system in accordance with customer specifications. 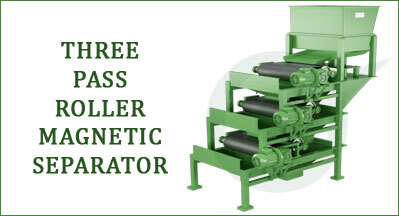 Depending on the requirements made and the application, a choice can be made for a single stage system or for multiple magnet rolls under one another. This results in an even higher degree of iron separation. 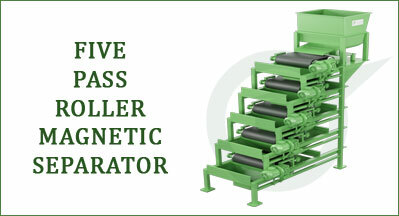 High Intensity High Gradient Magnetic Roller Separator consist of two rolls, one of which is magnetics. There is a belt between them to carry the ore into the magnetic field. The movement of the belt is controlled by a motor fixed to one of the rolls. The rotational speed of rolls can be adjusted according to the material properties. High Intensity High Gradient Magnetic Roller Separators are designed to remove micro iron from mineral, food, glass and ceramic raw material. 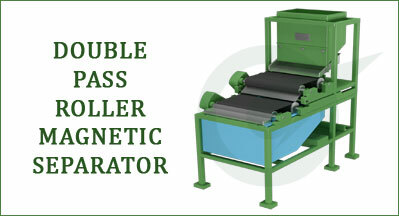 Double High Intensity High Gradient Magnetic Roller Separator are designed very fine quality separation. Triple and Multi High Intensity High Gradient Magnetic Roller Separator for highest purify material passes through the magnet multi stage roll separator. The magnetic rollers incorporated in our machines have been specially designed and developed to generate exceptionally high magnetic field and gradient. The rolls which are built using rare earth Nd-Fe-B are manufactured to very low dimensional tolerances. The magnetic rolls incorporated in our machines have been specially designed and developed to generate exceptionally high magnetic field and gradient. The rolls which are built using rare earth Nd-Fe-B is manufactured to very low dimensional tolerances.